With the holidays coming up, it’s always great to get an early start on gifts for family and friends. I’m betting that you have some coffee lovers among you! 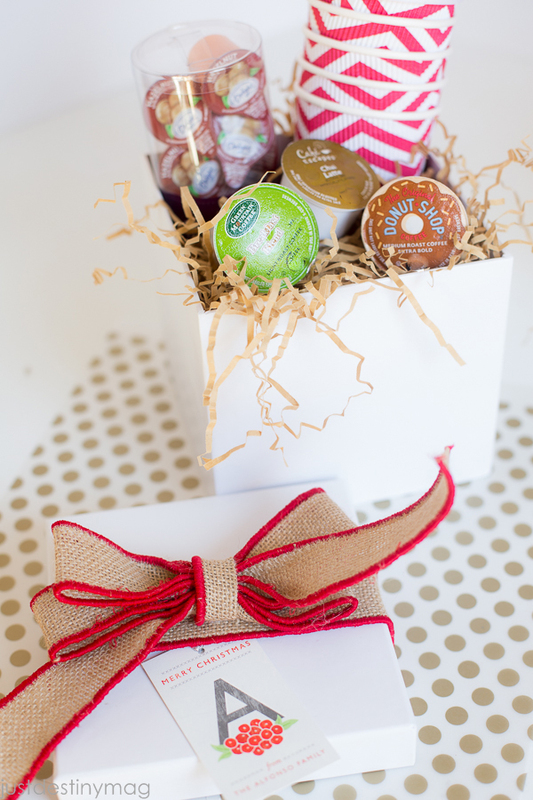 Here a few simple ideas that you can hand make for the coffee lover this holiday season! Making coffee cupcakes is SO easy! All you need is a box of your favorite chocolate cake mix ( mine is dark chocolate fudge) and replace the water with coffee! The stronger the coffee the better! 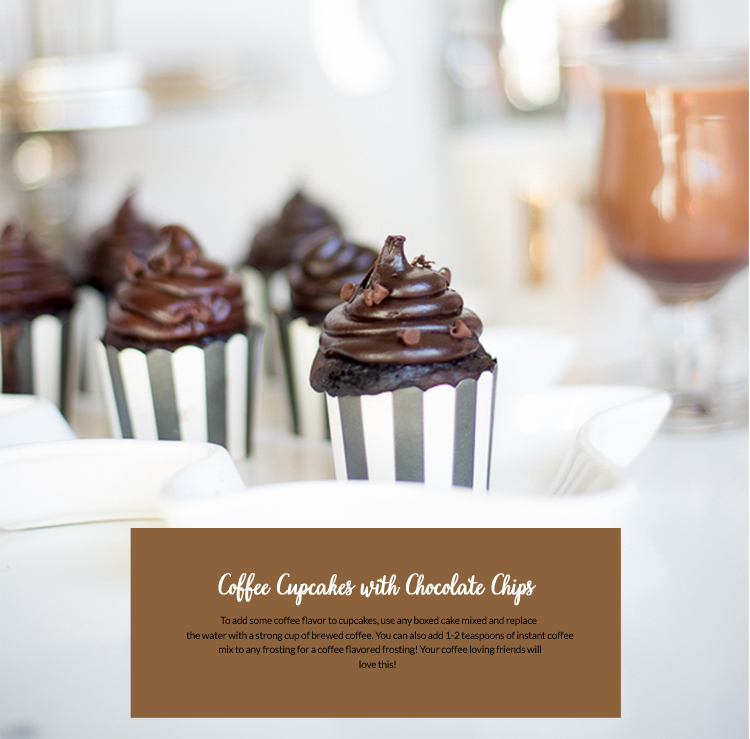 You can gift these in individual cupcake boxes or give them to your office friends by making a couple of batches! After every holiday dinner, Thanksgiving and Christmas, my parents always brewed a pot of coffee for their guests. It was always a natural progression of the night. Eat a wonderful, delicious meal and then chat for hours and hours sipping on coffee and tea to keep you up! ha. 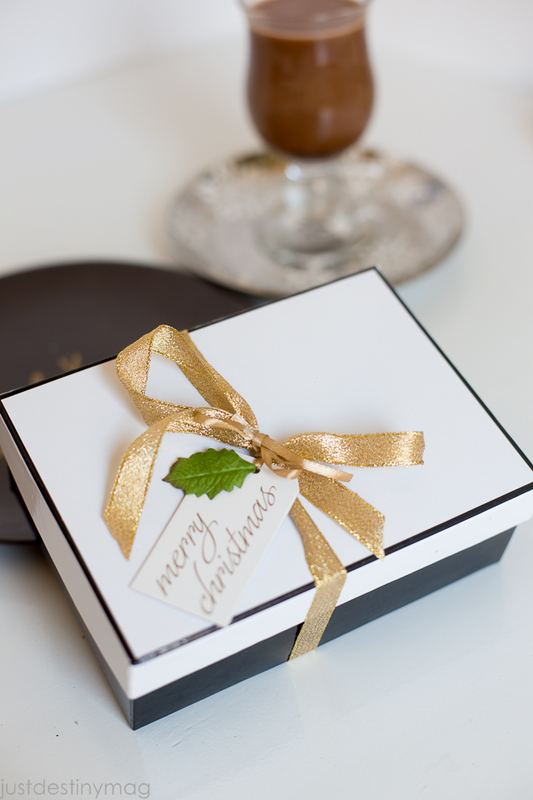 Well why not have individual packages of coffee kits ready for your guest at the table! If you know your guest really well these can be very custom. 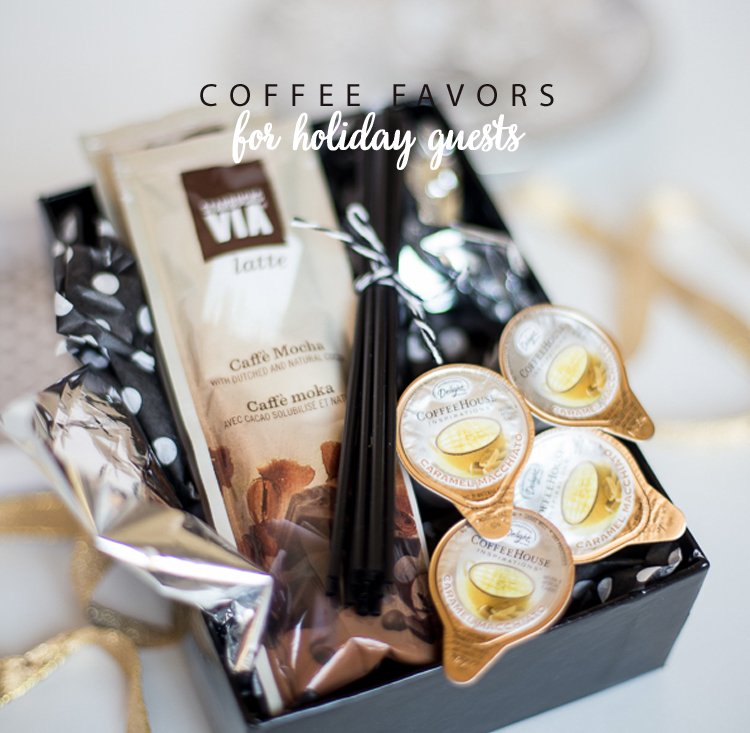 Include their favorite coffees, stir sticks and International Delight Creamers like Caramel Macchiato! Here is another great gift idea you can put together in a few minutes! This coffee to go box is perfect for those who take their coffee on the road. 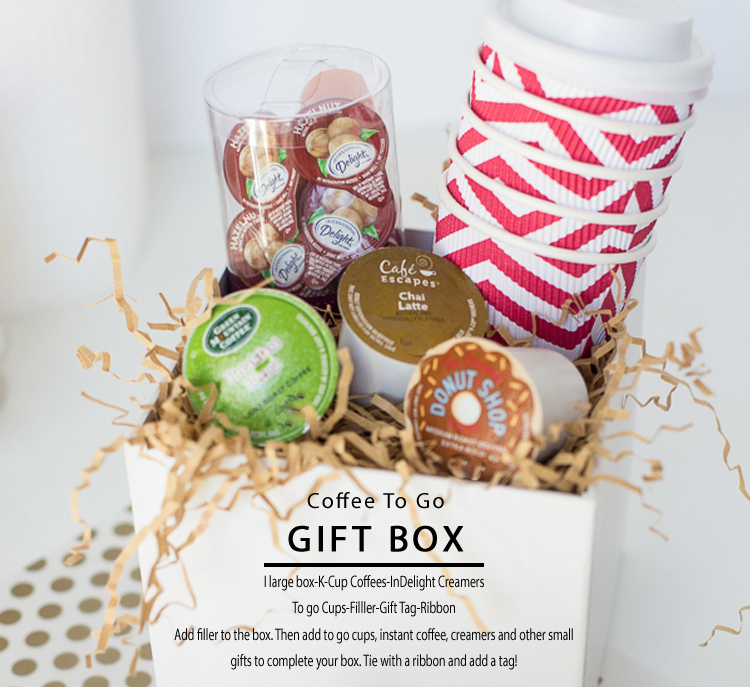 Load up your box with filler and add coffee favorites like cute to go cups with a LID, K-Cups for instant coffee, and International Delight individual creamers! The hazelnut one is a favorite with my sister in law! Finish it off with a lid, ribbon and a tag. The box can be used to hold all their goodies throughout the year! 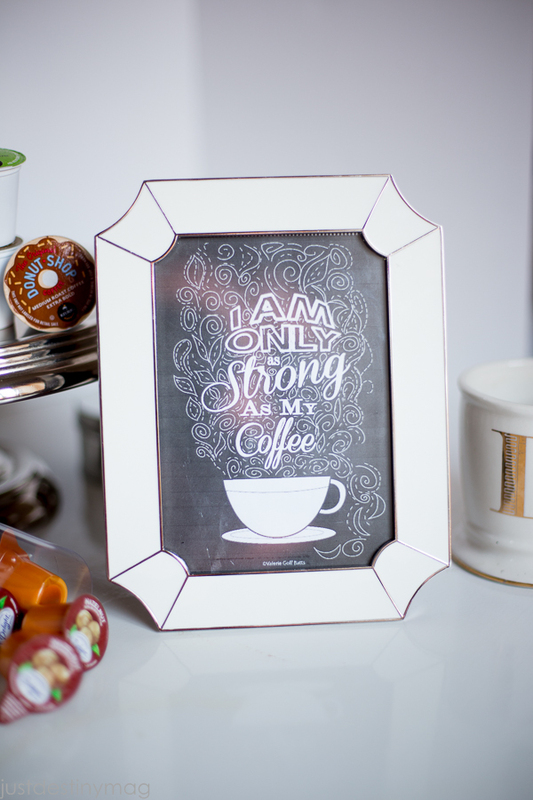 For the coffee lover who has ENOUGH coffee and creamers, you can gift them a fun printable piece of art. 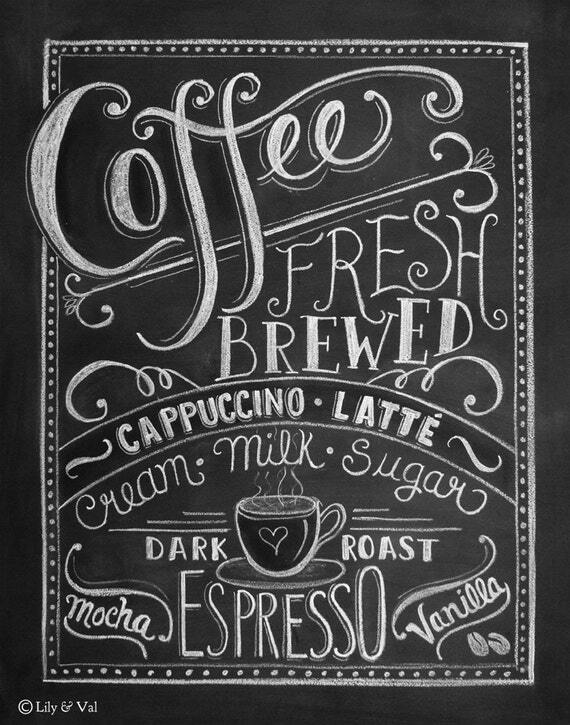 I love the Etsy shop LilyandVal for amazing chalkboard art! They feature a few fun coffee prints that you will love! Frame and wrap these up for the perfect holiday gift! Are you a coffee lover? What’s your favorite coffee gift you’ve ever received? A mug? Gourmet Coffee? Maybe a Keurig? I want to know! I love my new Nespresso machine! Hello Lovely!! I found you thru International Delights email. 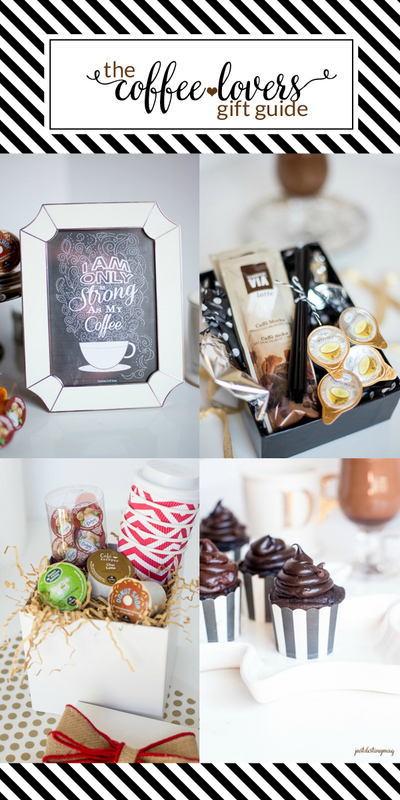 LOVE your Coffee Gift ideas & your blog! You’re SOO adorable & crafty!! Thank you for sharing your creativity w/ us less fortunate souls! I am now a Loyal Follower! !